When the team at Heart and Home Health Care decided to separate from the parent group and become their own organization, they came to Cassel Bear for help developing a distinct visual identity. Taking cues from the staff’s desire to instill confidence, calm, and a sense of peace and security in those seeking home health care, we worked in a cool color palette that feels both soothing and professional. 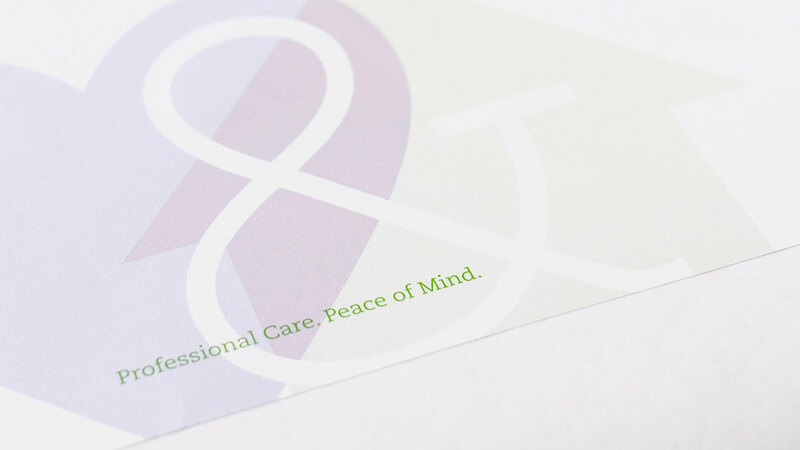 The transparency and overlaying of the house and heart elements in the logo mirrors the staff’s desire to merge professional medical expertise with caring nurture. 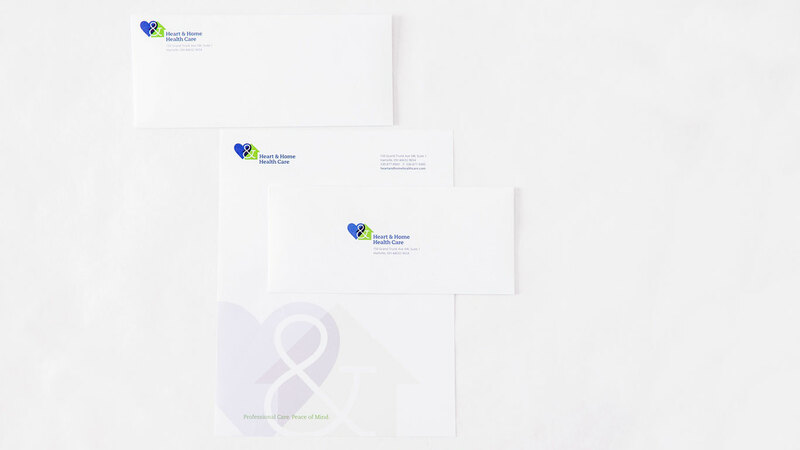 The Heart & Home Healthcare stationery set consists of a letterhead, a standard business envelope, and smaller, self-addressed return envelope. Useful for correspondence with new or existing clients, these pieces extend the visual identity crafted by Cassel Bear in a clean and contemporary manner. 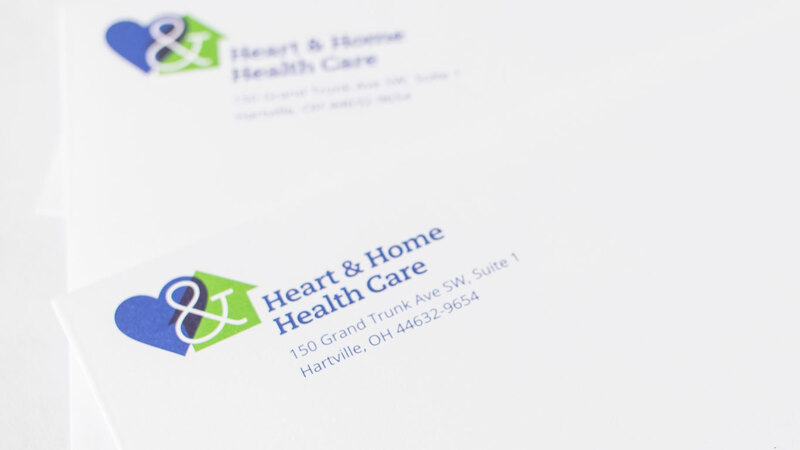 The large watermark on the letterhead provides a subtle backdrop for Heart & Home’s motto and helps reinforce the brand colors. With these resources, Heart & Home Healthcare is better prepared for the day-to-day operations of their young business. 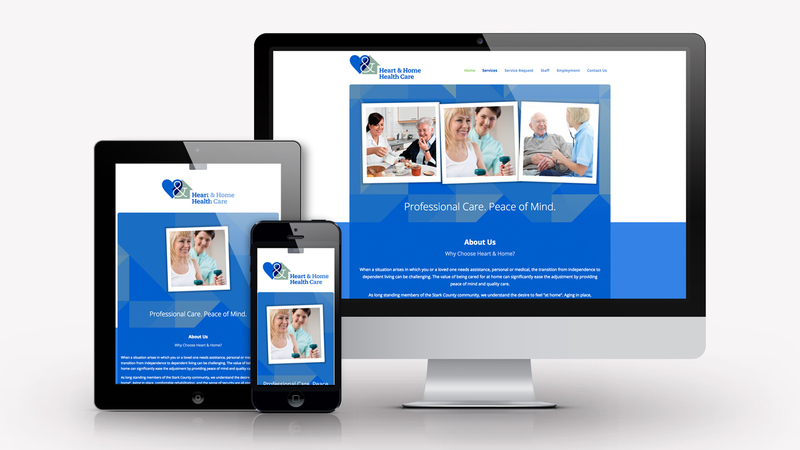 Heart and Home Health Care’s website extends the brand identity we began to develop through the logo. The inclusion of photos begins to put a face to the compassionate, yet skilled, care that the team offers. And Cassel Bear developed a subtle geometric pattern throughout the site, reminiscent of quilt patterns, to connote warmth and tenderness. Content on the site is intentionally simple and easy to navigate for older web users and for their children who may be confronted with a dizzying amount of information as they seek to care for their aging parents.